‘I don’t agree, but I respect the referee’s decision,’ Gracia said. ‘It is maybe a yellow card, but red card? I don’t understand why the referee did it. ‘I prefer not to speak only about that. 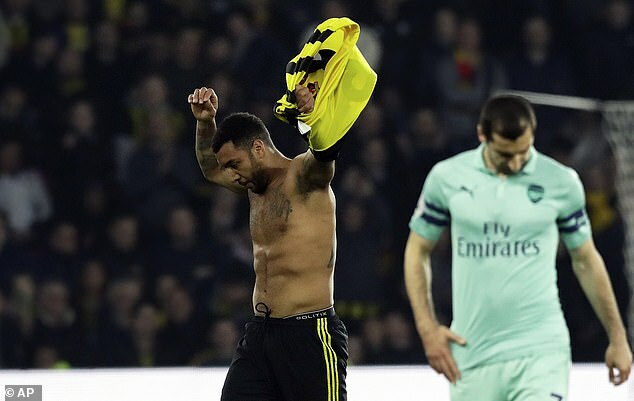 He (Deeney) hasn’t got to explain anything to me, I could see the play and I could see the contact with his arm but never with his elbow. ‘What can I say? I don’t understand the decision but we respect it. We tried to look for the resolution. ‘There is a contact but it is not with his elbow, it is with his arm or hand, I don’t know which part exactly. ‘We have competed really well with 10 players and today my players don’t deserve to only speak about the result,’ Gracia added. 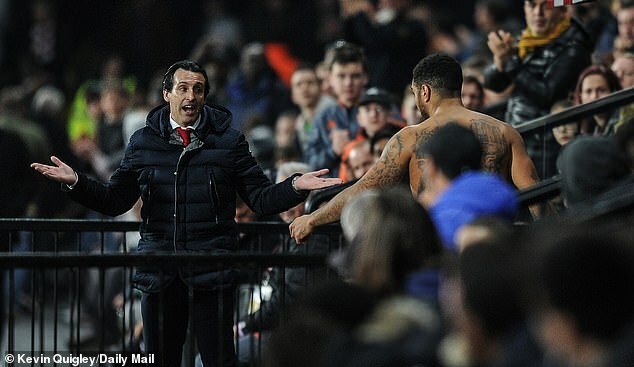 Emery said: ‘He said something to me, I can’t say, because I don’t know. I answered him, I don’t know. ‘I didn’t see and I respect the decision from the referee. It is clear it helped us, with this decision because to play with one less player for them was more difficult. ‘But our goal gave us the advantage and helped us to take more control of the game. ‘But we didn’t do all we wanted to do. But we can be happy with the result because coming here is tough. ‘The result gave us the opportunity to continue on our way and be consistent in the table. 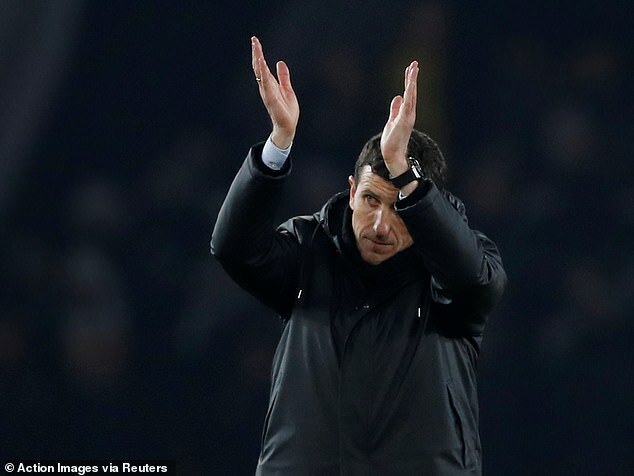 ‘The three points is the most important today but we worked at being consistent in our structure, in defending the long ball and set-pieces because they are a very strong team doing that.